As federal, state, and local environmental departments struggle to implement plans for mandatory management and maintenance requirements for onsite systems, A-1 Pumping & Excavating already has management/maintenance plans available for all types of onsite systems that will fully cover the impending regulations. Buying a home is probably the most significant purchase people make in their lifetime. If your home has a septic system, it is a very important part of your initial investment. To protect your investment and to avoid costly repairs, a good maintenance program is needed to help extend the life of your system. The same goes for any commercial or business location. The plans we have developed are designed to maintain your system in a manner that will extend the useful life of your system as well as protect the health and safety of your family, neighbors, and the environment. If your system is not functioning as it was meant to when it was installed, we are qualified to renovate your system so that it can function properly. 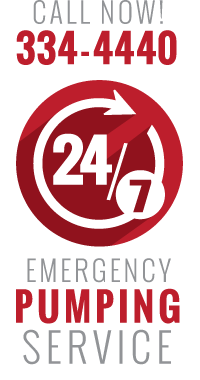 A-1 Pumping & Excavating is ready and willing to offer you an inexpensive maintenance program to cover your needs as a homeowner or a business owner. Why purchase a management plan? Keep your system in good working condition so that you are in compliance when management plans become a reality. 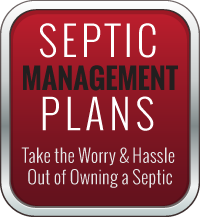 and can be designed to meet your individual onsite septic system needs. Please contact A-1 Pumping & Excavating today for more information.